Ok, it took a bit longer than expected to complete this blog post (insert link to part 1) but here it is 🙂 after being home since 5 days and some editing to my original notes. Enjoy! 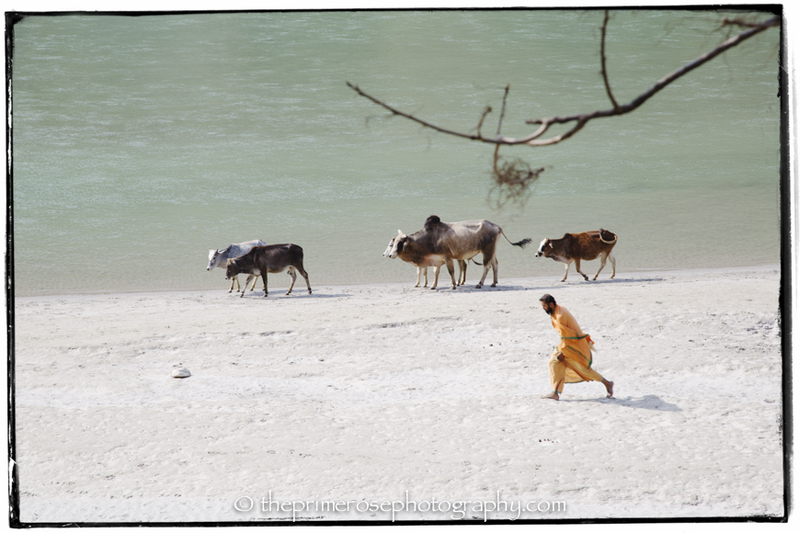 Twenty-five minutes walk from Swargashram – skirting the upstream Ganges’ banks (my favorite way) or taking the inner road – and you get to Lakshman Jhula quarter. This is the realm of hotels, guesthouses and bars, the place where the bulk of tourists ends up to. Rare are the Indian pilgrims staying here. Very often hotels offer yoga and meditation classes as well, though I haven’t tried any. The place, that is not pedestrian at all, is busy all day long and you can take a nice rest from the fuss in one of the many bars or bakeries, usually with Ganges’ view terraces. This is the area of Rishikesh full of shops for all tourists’ needs and souvenirs, though quality is rather poor. This area is also home to many Tibetan refugees. Just opposite Lakshman Jhula, crossing the bridge with the same name, starts Tapovan which clings to a rather steep hill. Tapovan is the place elected as ‘home’ from people who decides to stay in Rishikesh for a long while and with a reason: guesthouse prices are lower than in other quarters and shops have nice products we Westerners tend to love. Here is the only place where I’ve seen restaurants that only serves food to yoga students; actually they are more like home kitchens open for yoga students (a bit like a few places I know in Mysore, in the South of India). Amongst those, AyurPack – a family run Ayurvedic restaurant where you sit and eats in gazebos in the lovely garden of their own house – and Okeido – a Japanese restaurant run by a Japanese lady in her own house. So good to taste a different flavour from time to time! 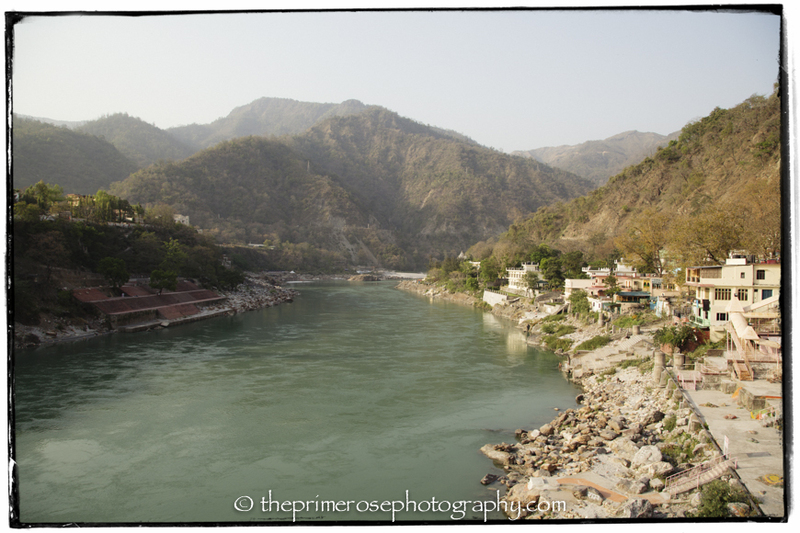 Opposite Swargashram, on the same side of the Ganges as Tapovan, is Ram Jhula. The fastest, cheapest and safest way to get to this 2 places is taking a rickshaw: just 5 or 10 rupees for a collective one, based on driver and negotiations. I don’t recommend taking a private rickshaw, as for the same 5 minutes way it would charge about 10 times more. Ram Jhula is quite a small quarter, with just a line of tourists’ shops on both sides of the road. Alert: both Ram Jhula and Lakshman Jhula bridges are supposed to be pedestrian, but hundreds of motorbikes crosses them all day long. In addition, cows can just decide to take a nap in the middle of them as well as monkeys will be jumping and be alert for food, so crossing them is always an adventure 🙂 In addition, especially at week-ends, it can take a while to get from one side to the other of the selected bridge, as pilgrims highly increase in number over Saturdays and Sundays. As usual for me in India, if I take the single piece of whatever I saw in Rishikesh, I just tend to think: ‘this is kind of ridiculous!’, ‘how can that be!’ but than, for some reason, when all comes together, it just happens to create the Magic! This entry was posted in India, Travelling Around and tagged Goa beach, guesthouses, incredible india, India, Lakshman Jhula, Ram Jhula, Rishikesh, Rosa Tagliafierro, Tapovan, the Ganges, the town of rishis, theprimerose, travelling solo, travelling to India, yoga. Bookmark the permalink.